Last night, I read from Imaginary Girls for a room of artists here at the colony. I talked first about what I find so exciting about writing YA fiction, I showed some images of a place that inspired the mythical elements of the novel—the Ashokan Reservoir in the Catskills, where I used to sneak swims as a teenager, just like the characters in the novel do in the opening—and then I read from the first chapter. After, I took questions. I was thrilled by the response to my presentation. But even beyond that, I was proud of myself. Why make such a big deal of this? Because I’m a shy person at heart, and it’s taken me many years to build up my confidence, especially around other writers and artists I admire. The presentation I did last night means so much to me because I couldn’t do it last time. The last time I was here in residence at the MacDowell Colony (six years ago, in 2005), I did not do a presentation or a reading. I was too scared. I was painfully shy and couldn’t even think of it. At the time, I told myself it’s voluntary and it’s okay to quietly slip through without sharing my work with others… But after I left, I realized that I regretted it. I should have gathered up my courage and done a reading. I’ve regretted it for years afterward. I’ve changed a lot in the last six years—one big change is that when I was first at MacDowell in 2005 I was writing literary fiction for adults, and now I write literary fiction for young adults, which I guess isn’t such a huge change, but still. Mostly what’s changed in me is my sense of self. My confidence in who I am and what I write. I also found out some wonderful news yesterday that I want to share: My editor, Julie Strauss-Gabel, was just promoted to vp/publisher of Dutton! Once my book comes out and my acknowledgments can be read I think people will see just how highly I think of Julie… She was instrumental in what Imaginary Girls has become, and I can’t say enough how much I love working with her. I’m thrilled for her amazing news and truly excited to be a part of the future of the Dutton imprint! Yesterday was a good day. Now, off to make today good, too. I grew up, for the most part, in the mountains. I grew up where my books take place. 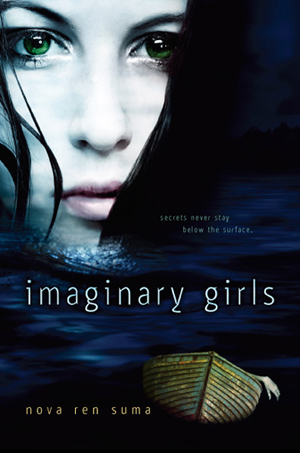 Imaginary Girls is set in the town where I went to high school. But the second photo is a shot from the curb right outside my building in New York City, the building where I’ve lived for about nine years now. The first photo is where I am right now… just for a short while. And I breathed in the cool, fresh air, which smells so entirely different from the air I’m used to breathing in the city, and I was struck by the beauty of the snow, and the satisfying crunch it made under my boots, and I was filled with memories of being a kid, when this was really all I knew. I’ve lived in Manhattan—first for grad school, then while working in the publishing industry, now as a writer—for well over a decade. It’s my home now. But sometimes, when I’m away from city noise and surrounded by nature, my body reminds me that wasn’t always so. 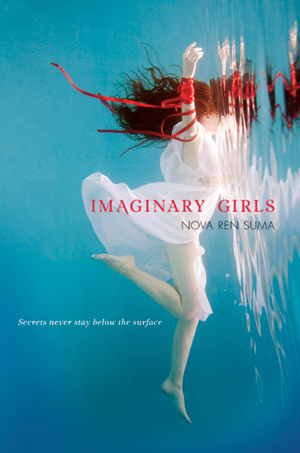 In a surreal bit of perfect coincidence, the week after the ARCs (advance readers copies) of Imaginary Girls were released into the wild I had the opportunity to go into hiding. 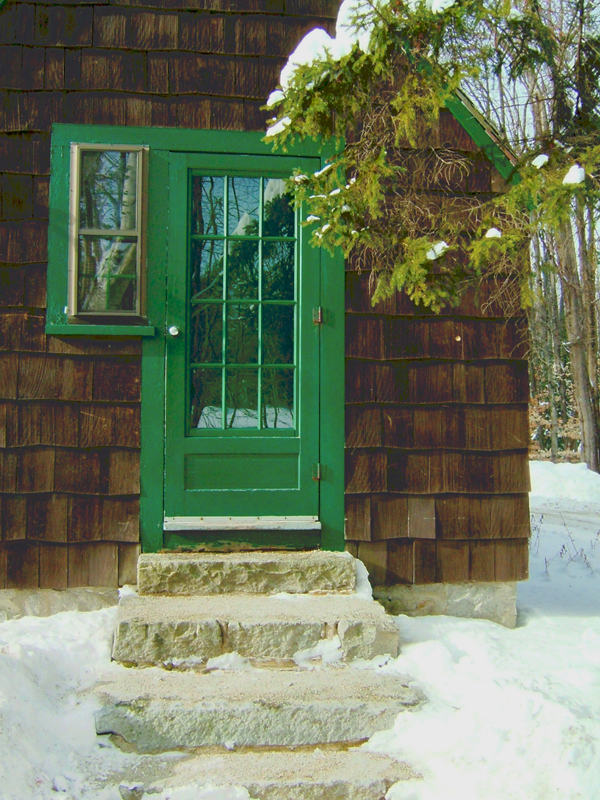 I'm typing these words from behind this green door, many many hours away from New York City. It helps with the nerves, hiding here. It helps me from being tempted to look at Goodreads—which I am trying to avoid this time around. So it’s a wonderful and lucky thing that I am far, far away from my real life right now, with spotty internet access, Google Alerts gone dark, and no real sense of what people’s reactions to my book have been—if there have even been any reactions at all—though I admit I’ve seen a few things on Twitter that got me excited! Finish reviewing the final-final-final pages of Imaginary Girls. The final pages of IG and a glimpse of the woods out the window. 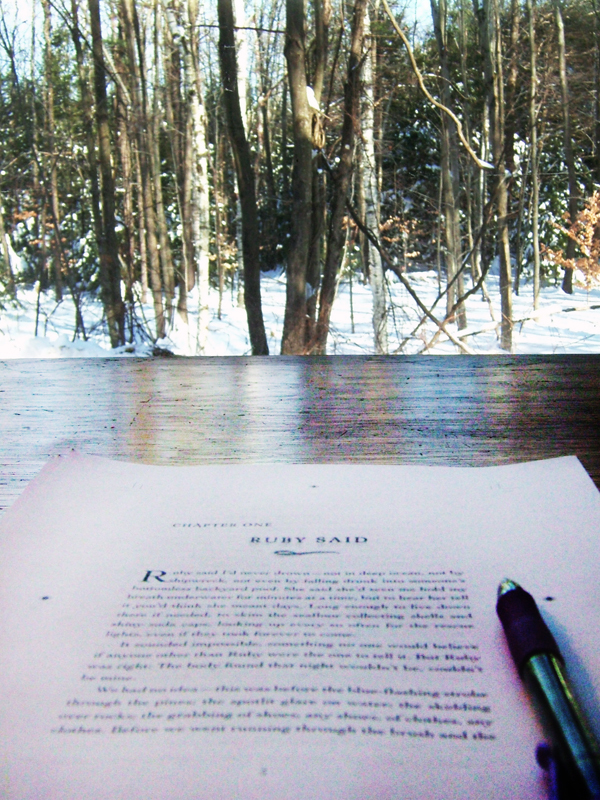 The book is set in the Catskill Mountains, so I think it likes being here. After this, the next time I see it, it will be a BOOK. I’m a writer and I can’t even think of a word to encompass how exciting this moment is! I also have a whole new book to write. 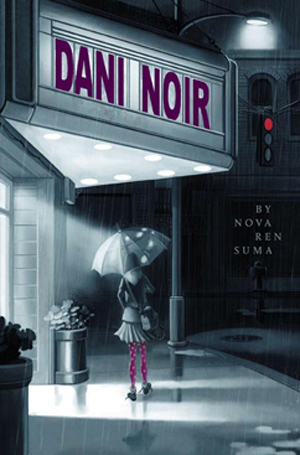 I’m typing up this post offline (no internet access in the studios, for the good of artistic creation) so I can’t look back at my blog archives to check, but did I tell you that book #2 got approved? Book #2 on my contract got approved! (It was a two-book deal—the second book is not a sequel—so I had to submit pages and a synopsis and hope my editor said yes.) She said yes! So, after I finish my last-ever read-through of IG, that’s what I’ll be working on here: continuing the first draft of my NEW BOOK! A corner of my studio... 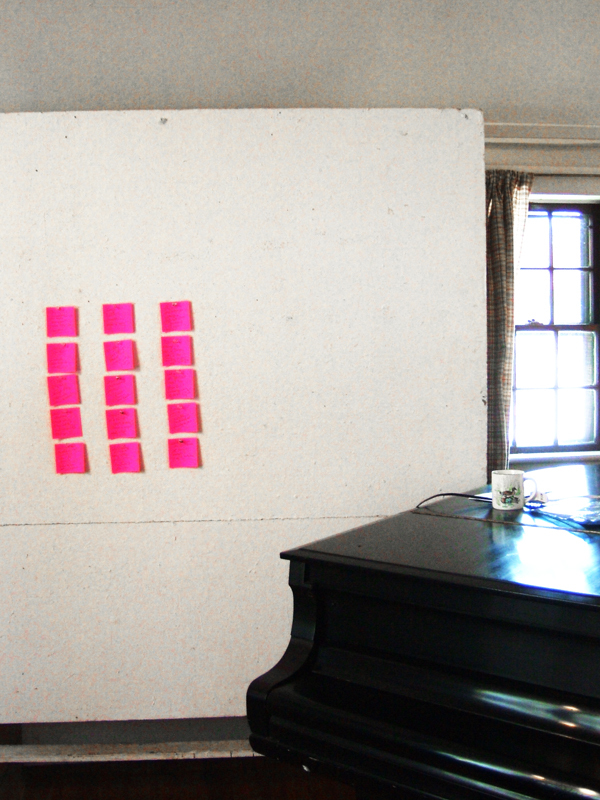 I tacked up the pink squares to remind me of my editor's notes; all important things to think about when I'm writing the rest of the first draft... the piano is there for me to put my coat on (I don't know how to play!). The desk in my studio on my very first afternoon; that wall there has more windows than can be found in my entire New York City apartment. Anyone else first-drafting this winter? I think it’s harder than revising… all those intimidating blank pages. …that people are about to read your book. If they want to. That people will open your book to the first page and start with the first sentence, and hopefully go on from there, and you can’t keep it close anymore, this book you wrote that started as a story for you and you only, this piece of writing you’ve loved and labored over, this piece of you. It’s too late now to delay showing people because you’re shy. No more excuses. It’s out. In the world. Where people who know how to read books can go get it. That’s a stack of ARCs—i.e., advance reading copies for reviewers, librarians, booksellers, and other industry people—at the American Library Association’s Winter Meeting in San Diego last night. Imaginary Girls made its ARC debut at this conference yesterday, as we only just got copies of the ARCs this week. This photo was taken from the ALA floor by the kind Martha Flynn, who tweeted it to me on Friday night and I love her for it! 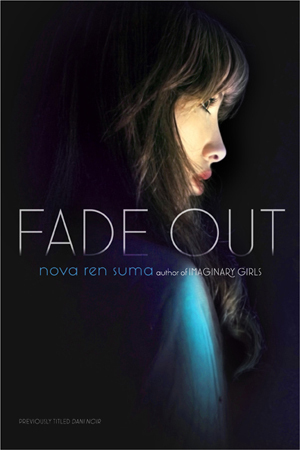 Now… how do you keep yourself distracted while you’re anxiously thinking of the possible people out there in the world possibly picking up your ARC and possibly opening it and possibly starting to read? I guess this is as good a time as any to hide away at a writers colony, huh? Especially if you’re going to hunker down and write your next book. For more ARC photos, check out this album. The year 2010 ended for me on a yes. 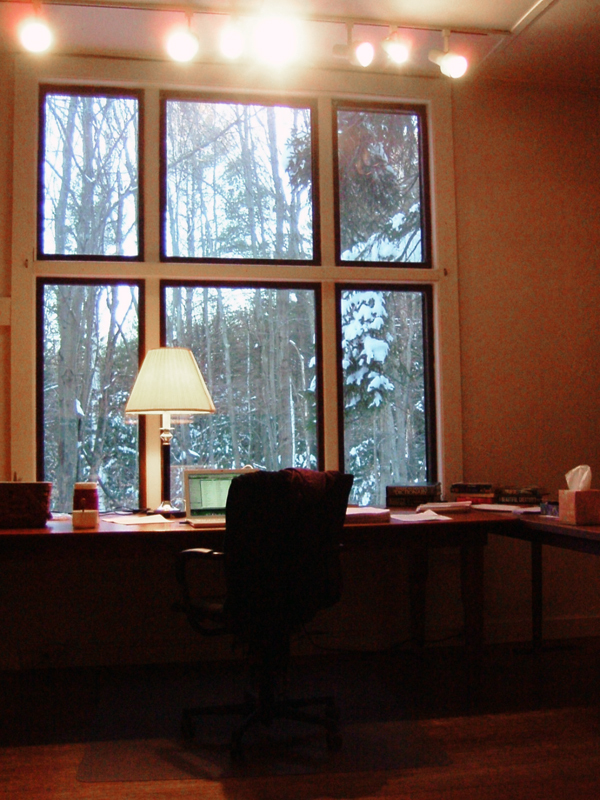 Yesterday afternoon, on the last day of 2010, I got into a writing-something I’d applied to! I’ll reveal more once I’m sure it’s happening. But let’s just say it involves some foreign travel and if you have any suggestions for travel grants for writers please let me know because I don’t have airline miles. I was surprised and excited by the last yes of the year. And now my attention has turned toward the year we’re undeniably in: 2011. I’m hoping for more yeses, and to get those yeses I need to put myself out there and try and try again. I’ll be applying to many things this year. I’ll be writing new things and submitting them. I want to see what all could happen. What will be the first yes of 2011? I have my fingers crossed for a few possibilities… All I know is you can’t hear yes unless you risk that no. May your 2011 give you the yes you’ve always wanted.